Large amounts of Saharan dust are suspended in the air all over the eastern and central Mediterranean and Aegean region today. We take a closer look. NASA Terra / MODIS satellite image of the Mediterranean. Local noon, March 26. NASA Terra / MODIS satellite image made near local noon today shows extensive Saharan dust clouds over the southern Mediterranean, central and eastern Mediterranean, as well as the eastern half of the Ionian sea and much of the Aegean region. Greece is getting the most of it, with a new cloud forming just south of Crete. 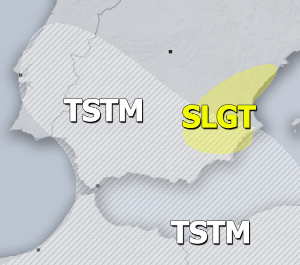 Also major dust moving into the Marmara sea region and western Turkey. The eastern Mediterranean, including the southern coast of Turkey and Cyprus are under Saharan dust as well. A major dust cloud is also moving across the Black sea. Chania, Crete in thick Saharan dust early this afternoon (13h UTC). Image: Skyline Webcams. Dusty skies over Mykonos island, Greece this afternoon. Report: Nippes-Wetter, Wetter für Köln. Two major dense dust clouds are located over the southeastern Mediterranean and the NW Turkey / Black Sea region, respectively. A broad zone of Saharan dust is present over the central Mediterranean and southeastern Europe. The dust cloud over the SE Mediterranean moves across Crete and Rhodes islands and the southeastern Aegean region and into SW Turkey. The dust cloud over NW Turkey will move across the Black sea into SW Russia. The dust over southeastern Europe slowly moves eastward, but some dust remains as far west as the Balearic islands and Italy and as far north as northern Poland. Dust load across the Mediterranean region and Europe. University of Athens SKIRON model.